Collaborations with iconic brands and recognition by international museums have confirmed Adam Goodrum’s reputation as a truly world-class designer. Adam Goodrum, photographed by Anthony Browell. 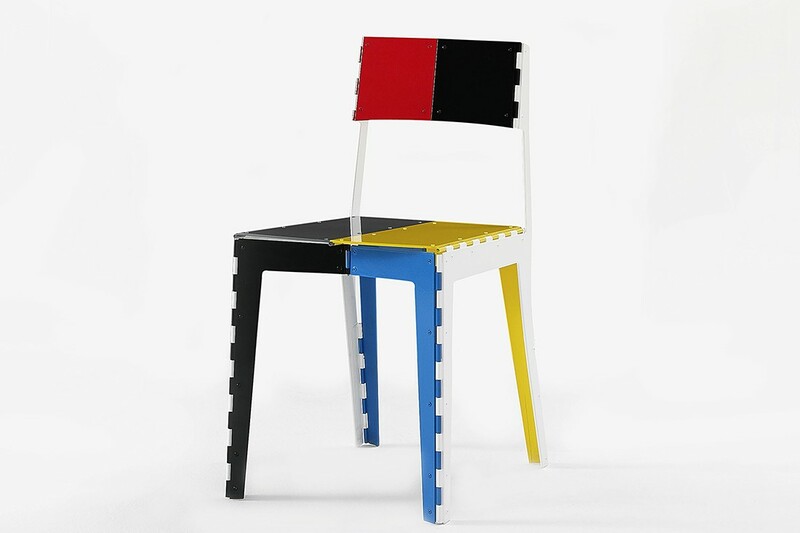 Cappellini Stitch Chair by Adam Goodrum. The Volley chair for Tait. 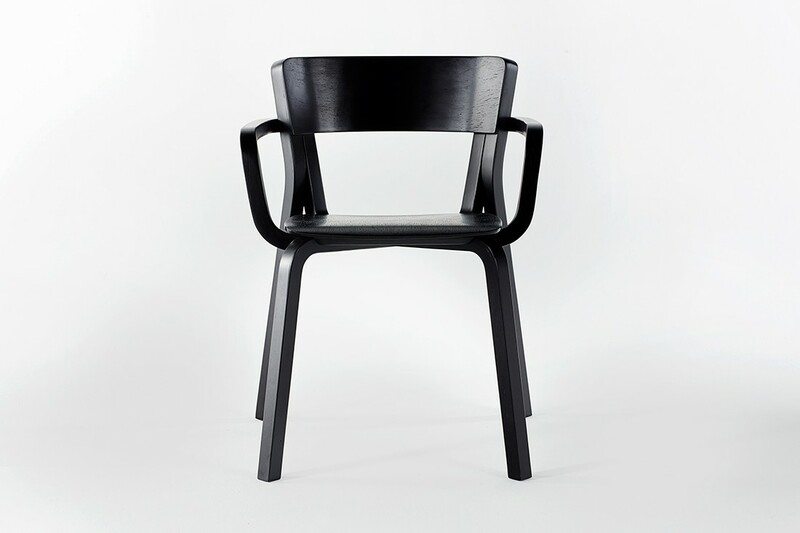 Parawood Chair by Adam Goodrum. When famed Italian furniture companies pick you out as one of the top designers in the world, something has to be going very right. As industrial designer Adam Goodrum puts it with some understatement, he’s “in a happy place”. His Stitch chair is produced by Cappellini and sold around the world. Poltrona Frau invited him, as one only a dozen designers internationally, to help celebrate their centenary. He designs for innovative homewares retailer Normann Copenhagen. His work is held in major museums like the Philadelphia Museum of Art and the Design Museum Gent, in Belgium. 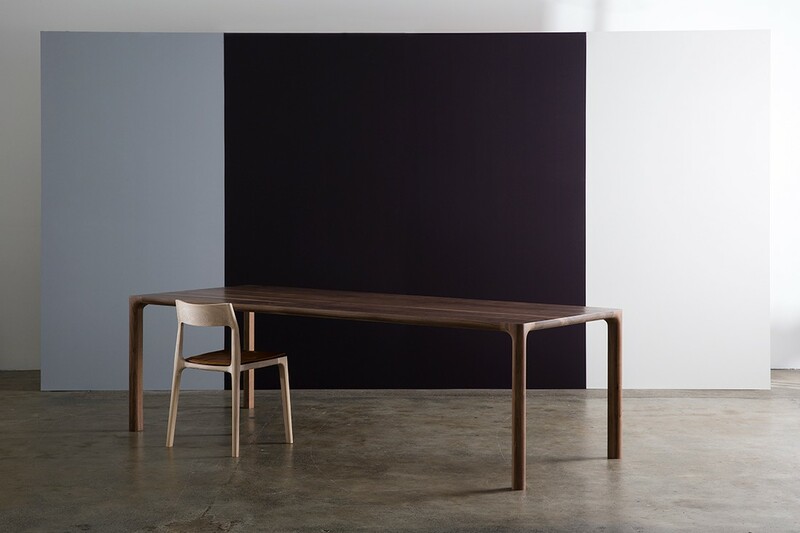 And here in Australia, his ‘Adam Goodrum by CULT’ furniture range is not only a significant development by high-end design retailer CULT, but a clear statement by the company’s founder Richard Munao that Goodrum’s design work stands up alongside the best in the world. Such success often comes at a price, but while Goodrum says he’s “always too busy,” he keeps his business manageable and his day-to-day existence low stress. He really likes the people he works with and he enjoys his family life. Does it get better than that? “I believe in [the idea] that you create your own destiny,” says Goodrum. He’s talking about the potential of design in Australia, but he could be describing his own career path. As a child Goodrum was always making things: tree houses and billy carts, and indulging a LEGO obsession. Completing high school he decided to combine his mathematical inclination with his artistic flair: he swapped the surfing beaches of Western Australia for the pace of Sydney and enrolled in an industrial design degree at the University of Technology, Sydney (UTS), where he found a natural home in the workshop. 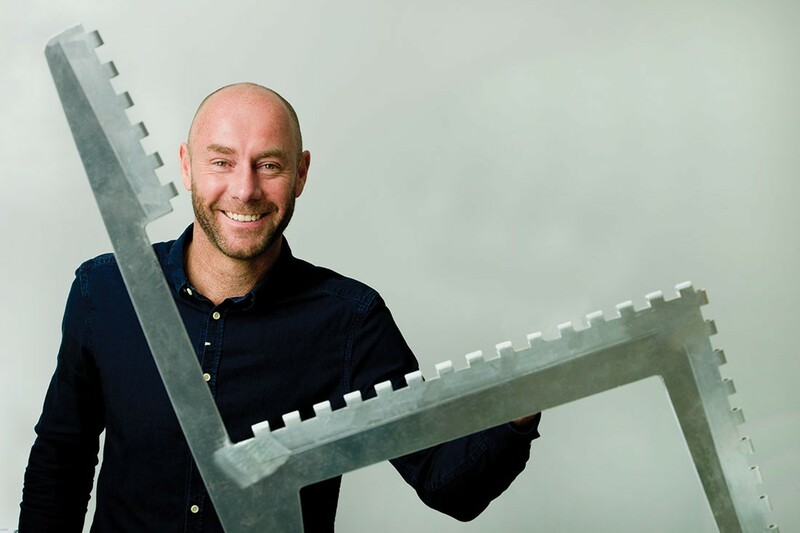 It was in 1992 – Goodrum was in his third year – that he “had a moment [of realisation].” He’d been given a brief to design a folding chair, his first piece of furniture. “I absolutely loved that, the chair and the articulation, and I got quite obsessed after that with things that moved, and with furniture generally.” With his direction in life virtually sorted, Goodrum graduated in 1993, worked for Parker Furniture for a few months, then did design work with a builder part-time while he initiated his own projects. “I always had my design business on the side,” he says, and things seemed to fall into place. “I won some Australia Council grants, won a number of competitions, including Sydney Morning Herald’s Young Designer of the Year 1997. That gave me a chunk of money and an airfare to Milan [Furniture Fair]. Seeing the massive machine that exists, all these amazing companies and the level, the seriousness [with which] they do things, was really exciting,” he says. It was also why, after he’d won the Bombay Sapphire Design Discovery Award with his Eve chair, (exhibited in Milan in 2005), that Goodrum was extra keen to meet Giulio Cappellini and show him his latest design, the Stitch chair. As it turned out, Cappellini sat on the prototype of the Stitch, and – given the hinges had only been glued on the night before – broke it. “Here’s my one chance to show Giulio Cappellini my chair and he almost killed himself,” says Goodrum. However, when Goodrum was presenting the Stitch chair in Milan the following year, they met again, and Cappellini signed up quickly to manufacture it. Stitch is a signature piece for Goodrum, for all the right reasons. “I admired Cappellini a lot. 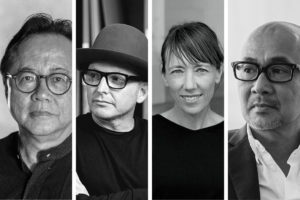 I was thrilled,” says Goodrum, who was “very excited to go to Italy, to work with the R&D people, and see it all happen.” Stitch became the closing pin-up of the Milan Furniture Fair when it was launched in 2008 and went on to attract much attention in the international design media. Goodrum was “chuffed” when motorcycling champion Casey Stoner, riding for Ducati, ordered red and white Stitch chairs for use in the pits at races, and would pull one out to sit on one for interviews. “As a $1200 metal folding chair (there is also a stool version), Goodrum acknowledges that “it’s pretty pricey”. Nevertheless nearly a thousand units continue to be sold around the world every year, suggesting it has entered the realm of the new design classic. 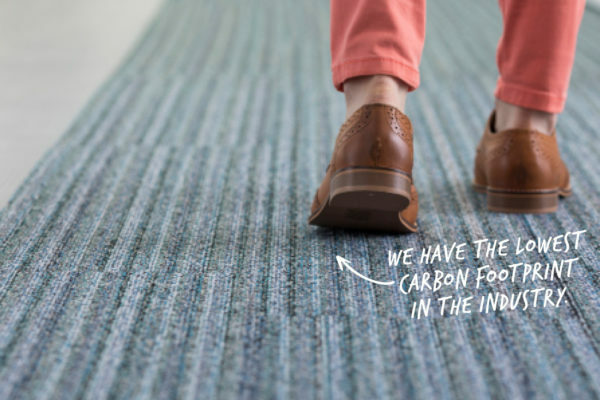 Stitch is a signature piece for Goodrum, for all the right reasons. It embodies his love of furniture, moving parts and bright colours. It was spraying the different parts different colours, he says, that accentuated the ‘stitch’ on the hinges and really brought the idea to life. The design sprang from the form of play that is his modus operandi – his kitchen table was his workshop at the time so he was folding paper as part of the development process. Stitch also has the functionality he looks for, along with a distinctive personality that stakes a claim on our attention. What this single product doesn’t reveal is Goodrum’s capacity for creating innovative solutions to divergent briefs. 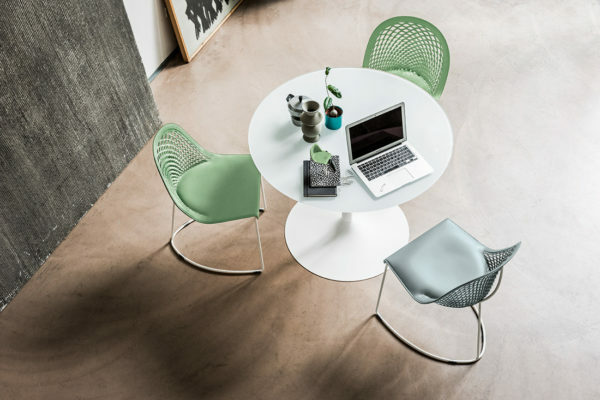 What this single product [Stitch Chair] doesn’t reveal is Goodrum’s capacity for creating innovative solutions to divergent briefs. 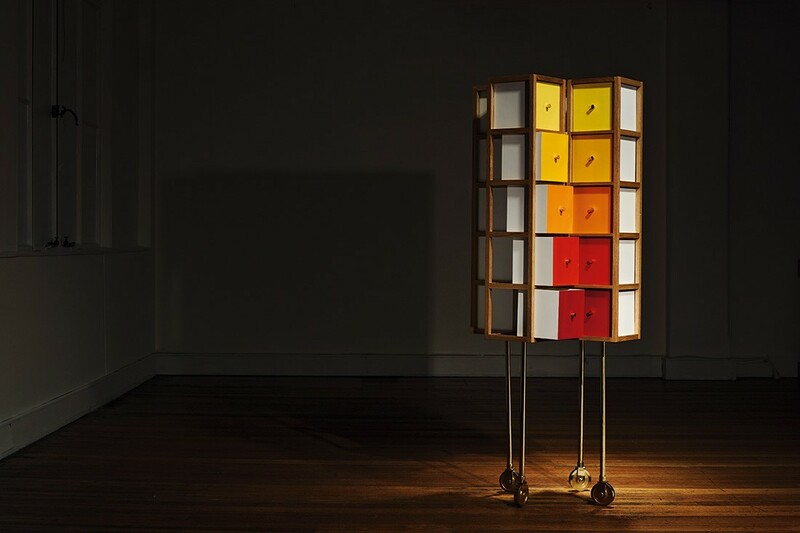 A founding member of Broached Commissions, which initiates limited edition design collections with reference to Australian history, Goodrum has created pieces such as the Birdsmouth Table (2011), and the Inside Out Cabinet (2013), which opens out to reveal drawers concealed within. 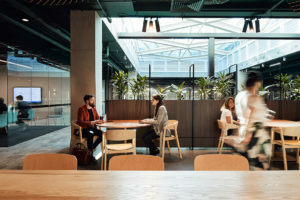 Through Broached Commissions he has also created numerous pieces for Hotel Hotel in Canberra including concrete outdoor tables, chairs and multi-coloured timber tables for the bar, blown glass pendant lights and bowls for the rooms. 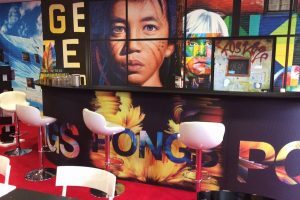 He has subsequently designed workstations, and a boardroom table and chairs for the headquarters of the Hotel Hotel developer, the Molonglo Group. Along with the subtle references that result in the individual character of his pieces, another defining feature of Goodrum’s practice would be the pleasure he takes in using a diverse range of materials. “I enjoy timber. Plastic is exciting, ceramic, glass as well. I don’t have anything specific I focus on,” he says. Looking further afield for materials to exploit, Goodrum used chopsticks to create his striking Tsunami bowl, which is held in the permanent collection of the Design Museum in Gent, Belgium. Strangely, for a furniture designer, until relatively recently he had never worked with upholstery. That situation was reversed two years ago when Munao invited Goodrum to design a sofa. One thing led to another and the product range grew exponentially. After the sofa came a bed, and then another. 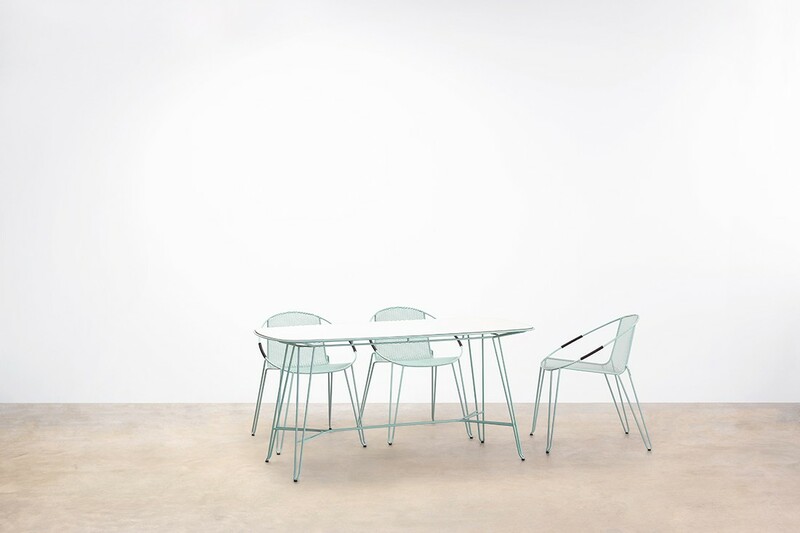 Munao also wanted a table with detachable legs, and this led to a chair, that then informed some stackable side tables and an elegant easy chair. 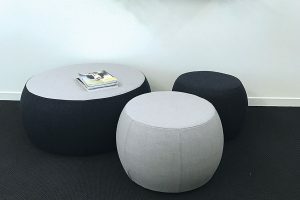 As each item was tailored to its own particular needs, there was no overarching aesthetic imposed on them, but rather they were designed to sit companionably together in a relaxed contemporary way. As each item [for CULT] was tailored to its own particular needs, there was no overarching aesthetic imposed on them. In a business that showcases a who’s who of international designers, Munao’s confidence in Goodrum is evident. “I feel quite privileged,” says Goodrum, referring Munao’s invite. “Because [Richard] works with all these very high-end brands, these pieces have to sit there as well.” He relates how the CEO’s of Fritz Hansen and Cassina were visiting the CULT showroom and their immediate reaction when they saw the collection was that it was a competitive range on a par with their own brands. Such responses reassure Goodrum that he has hit the mark. While Munao has been keen to encourage local designers and industry for a long time, commissioning the range was a move ‘unprecedented in scope and scale’ for the company. 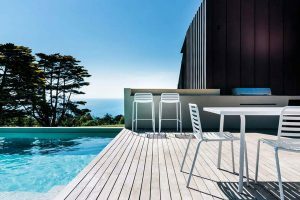 The confidence demonstrated in Goodrum’s abilities is plain, but backing his own judgement too, Munao has made a bold and substantial investment in the marketability of premium quality Australian-made furniture. 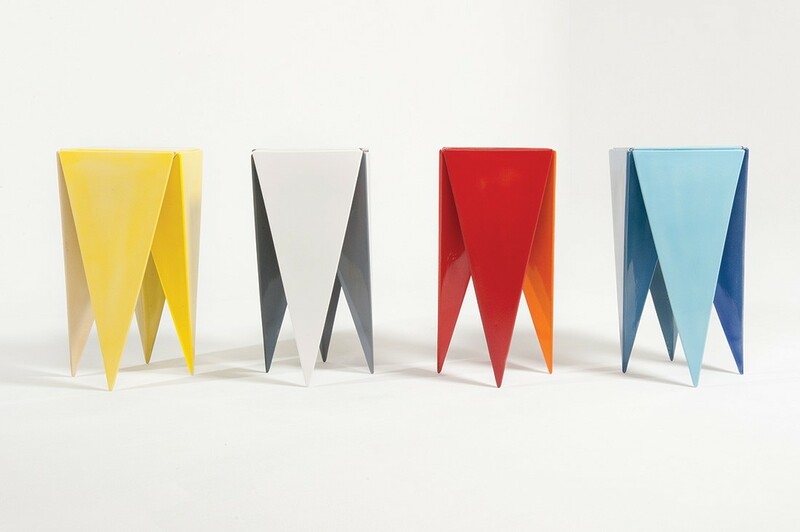 Adam Goodrum pieces for CULT. The proximity meant any technical issues were resolved on the spot. While working with an overseas company is exciting, Goodrum says there are downsides. “It’s furniture, so you have to sit in it, you have to engage with it to see if it’s comfortable. Receiving images is not the same.” For buyers of the Adam Goodrum by CULT range, flexibility and timely supply can be additional advantages, although already Goodrum reports good sales and “good interest for big numbers” – all good. Goodrum is hopeful the time has come for Australians to get behind their culture and support the local industry, and he looks forward to seeing Australian-designed furniture sitting in the furniture showrooms in significant numbers, alongside the best of the international brands, and being bought by Australians with pride. Adam Goodrum was featured as an Indesign Luminary in issue #60 of the magazine.